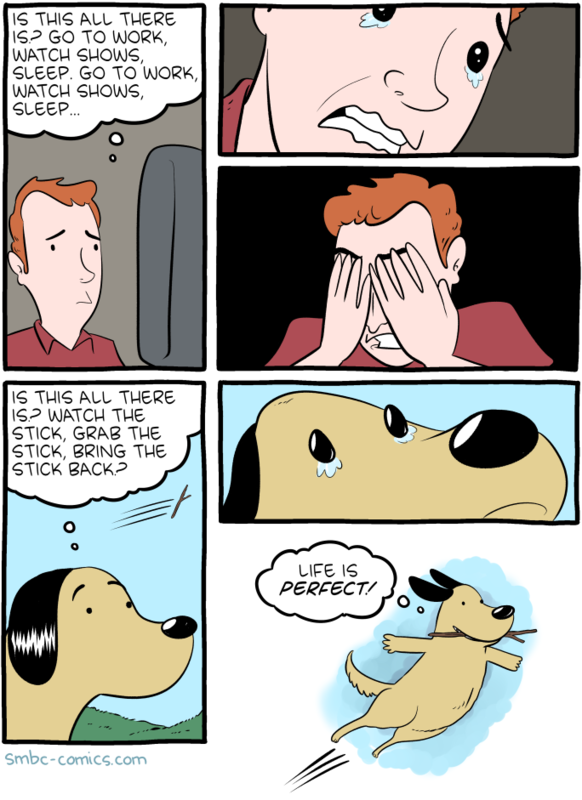 Title text: "I vow to never do a comic that involves animals and is also uplifting." I'm pretty sure he never has and never will make an uplifting comic, ever. The irony is the after-comic does what the mouse-over vows not to ever do! PhilipGilman wrote: The irony is the after-comic does what the mouse-over vows not to ever do! I wouldn't say that a human outliving a dog is uplifting.